I remember the first CIMBL (precursor to CAAMP) conference I attended 16 years ago. As a newly-minted mortgage executive I recall an excitement, enthusiasm and a sense that we were all learning and growing together. I knew at that moment that this was a very special industry and it was an association I would admire for many years to come. CAAMP was a place where new and seasoned mortgage professionals would come together, share best practices and chart a course for the future. 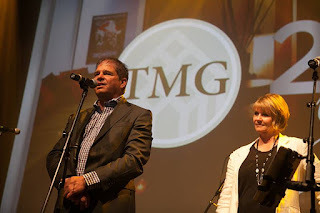 Looking back on this past year it is remarkable to me the ground we have covered as an Association and what lies ahead. I feel privileged to have been part of the discussion, and debate, over many issues that impact our industry and the members we represent. Having sat behind ‘closed doors’ I can tell you that I feel your Board worked tirelessly on your behalf over the past year. The passion, commitment and understanding they have for our industry will continue to propel the Association forward, representing our member’s interests in a very meaningful way. I feel privileged to be recognized as the Vice Chair of CAAMP for the upcoming year. Our association is inclusive of brokers, lenders and suppliers alike. That mix actually makes our voice stronger when we are lobbying in Ottawa. Our different (broker, insurer, lender, etc) yet interdependent businesses helps unify our day-to-day business interests. Members are aligned in seeking a very strong and growing broker channel in Canada. Quite honestly, because it is in my DNA, I have a deep passion for this industry and the people it serves just as the staff and volunteers at our association have. 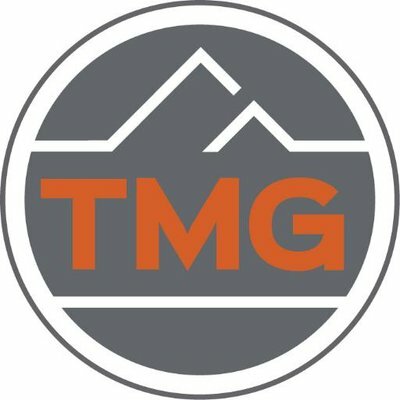 CAAMP is not perfect – but we are engaged. We will continue the positive work done in recent years and be even more approachable to our members, still more relevant to our stakeholders and better coordinated with our regions. I am extremely proud to count myself among such a committed and passionate group of fellow CAAMP Board members. I am confident that our Board will represent the voices of ours members. Despite what seems like a focus on statistics that creates fear in the media, Canadians are still making their mortgage payments, while enjoying the cheapest borrowing environment in history. Not that long ago, all headlines were focused on the household debt to income ratio, which has proven to be a poor indicator of the financial situation of Canadian households. That ratio, actually, has decreased recently, but the “number” alone is the focus of headlines. More recently, attention has turned to foreign ownership – that this may be causing a housing bubble in certain parts of Canada. However, the data doesn’t support this hypothesis and even the most anecdotal analysis suggests that most of the sales activity by foreign buyers has been in high-end homes (north of $3M) in Vancouver and Toronto. The reality is in Canada, there is nothing to fear. Even if all of the headlines were true and the most concerning of assumptions became reality, Canada is not in any way in a similar situation to that of the U.S. pre-financial crisis. Nor is Canada the same as it was eight years ago. Let’s look at the facts. Canada is currently enjoying the lowest interest rate environment in history. It has never been more attractive for homeowners to borrow money. Five-year fixed rates are around 2.6% to 2.75% and 5-year variable rates are nearing 2%. Notwithstanding these low rates, lenders focus on providing mortgages to only the most creditworthy applicants with provable income. Since the Global Financial Crisis in 2008, the lending landscape in Canada has drastically changed. At one time we had American sub-prime lenders operating here such as Accredited Home Lenders, Wells Fargo, and GE Money, to name a few. However, capital requirements imposed by the Canadian government made it almost impossible for these small lenders to survive. The mortgage business was also much more attractive to banks and investments banks and many prime lenders such as Macquarie, First Line, and ING have left the mortgage channel completely. We didn’t see new lenders for a long time, until recently. The Canada Mortgage and Housing Corporation (CMHC), The Office of the Superintendent of Financial Institutions (OSFI)and the Ministry of Finance have changed mortgage lending rules and have increased compliance requirements, which have eliminated most of the riskier lending such as the No Income Qualifier (NIQ). We also once had 40-year amortizations, 100% financing (including on rental properties), refinances to 95% of the value of a home, and stated income loans with very little documentation. We’ve had five policy changes so far and the introduction of mortgage underwriting scrutiny via B-20 and B-21. Ask a self-employed borrower trying to get a mortgage and he or she will tell you how more challenging it is today than it was 10 years ago. Yes, if you’re credit worthy and have provable income, you will enjoy the lowest rates ever. Often borrowers get annoyed in this new lending era, where the need for paperwork and more paperwork seems daunting. Lenders require more information, more paperwork, and more due diligence -- more everything. Canada’s delinquency rate is at 0.28% -- its lowest rate since 2007 -- and close to the lowest rate in history. That means that for every 10,000 mortgages, only 28 of them currently have missed three mortgage payments in a row. In the U.S, the delinquency rate is 5.77%. It’s comforting knowing that if the market should take a turn, the housing market would be fine. So in reality, Canada is actually doing pretty well. Our government has focused on ensuring the people who get mortgages can afford to pay them. Despite these changes, our mortgage and housing markets are still growing. This is good news for the future of these markets. Make sure to speak with a mortgage broker so they can help you navigate our current lending environment to ensure you get the best mortgage to meet your unique needs. For the past four years economists have been warning us of a slowdown in housing activity, of lowered house prices and of interest rate increases. None of which have come to pass, until now, with the exception of interest rate increases and clearly, no one really knows what will happen with rates. 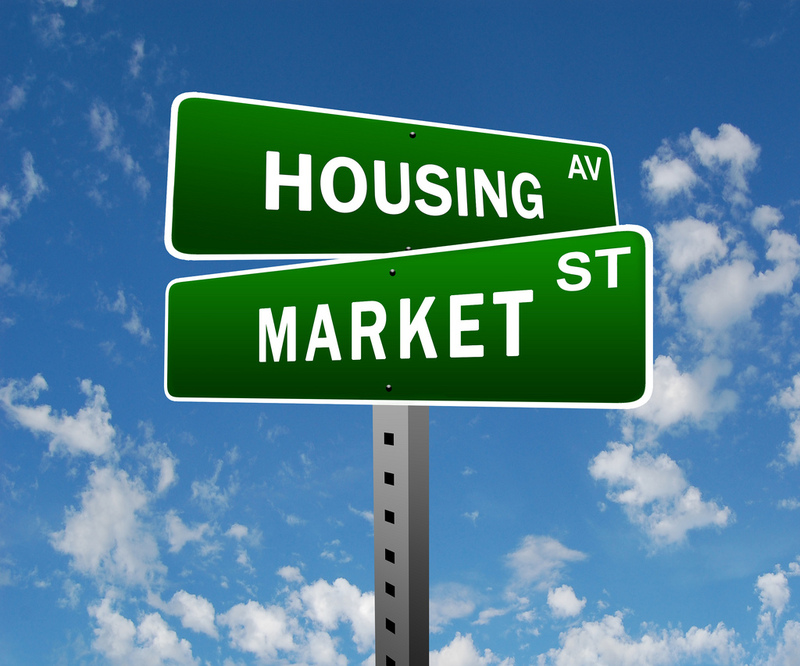 Here are the most recent predictions from the Canada Mortgage and Housing Agency (CMHC). New-home construction will slow over the next two years as low oil prices continue to take their toll on the economy despite rock-bottom interest rates. Prices of resale homes will rise 3.4% this year before slowing to 1.5%. Oil-dependent provinces such as Alberta and Saskatchewan will be hit hardest. Home prices will likely decrease below the national average in Alberta. In the rest of Canada the slowdown will be due to the shifting preferences among buyers. Where once buyers set their sights on higher-priced, newly built detached homes, they will start looking at buying older entry-level resale homes and more affordable new builds, such as townhouses and condos. A healthy supply of condos and townies has kept those prices more affordable. In Canada’s two high-priced markets – Vancouver and Toronto, demand for detached homes may fall because they are just not as affordable. However, just outside of these two hubs, prices are affordable. CMHC also predicts that mortgage rates will rise slightly over the next two years, with five-year posted rates set to range from 4% to 5.5% this year, rising to 4.2% to 6.2% next year – caveat: We’ll see. Many economists also say that our housing market is overvalued. Some say upwards of 60% compared to rent, some say about 30%, but the consensus seems to be between 10% and 20%. But we may be looking at the wrong comparison. What’s really important is a mortgage holder’s ability to pay. And that means people need to stay working. So far, job numbers are good. The unemployment rate is holding steady at 6.8 %. Compared to a year earlier, Canada has added 161,000 jobs (a gain of 0.9 per cent) and the total number of hours worked has grown by 1.2%. Full-time jobs have risen by 1.8% over the past year. It looks as if consumers don’t have a problem paying their debts…unless interest rates shoot up past “historical norms”. Yet, how many years have to pass before something becomes history? We’ve been living with low interest rates since 2008 – that’s seven years. It could be that low interest rates are now the “norm”. We are living in times that are defying textbook scenarios on the economy. Clearly world economies have changed. It’s not likely that interest rates will skyrocket in the next few years, given what’s happening in the world; it is more likely they may start to increase… slightly. What we’re seeing today is the correction that economists predicted would happen two years ago. 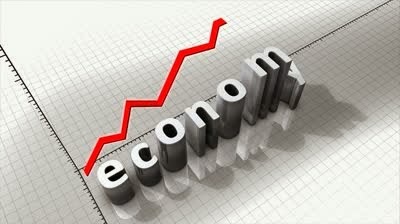 With it will come a more balanced, stable economy where people are happily working, who are able to pay their debts, where interest rates are “low normal” and where house prices are affordable. In the end, economists will look back and say that everything unfolded as it should. The past few weeks we’ve seen the dollar sink, the Bank of Canada’s rate drop to .50%, and not-so-great economic reports over the last two quarters have been released. And with all this comes discussion that Canada is going through a…(whisper) recession. 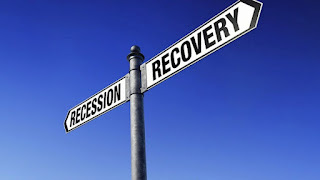 According to the definition of a recession -- a period of temporary economic decline during which trade and industrial activity are reduced, generally identified by a fall in GDP in two successive quarters – that’s what we’re experiencing. However, this seems to be a very different downturn than previous recessions. And because the definition puts us squarely in one, it doesn’t mean that the country is slipping into serious economic trouble. 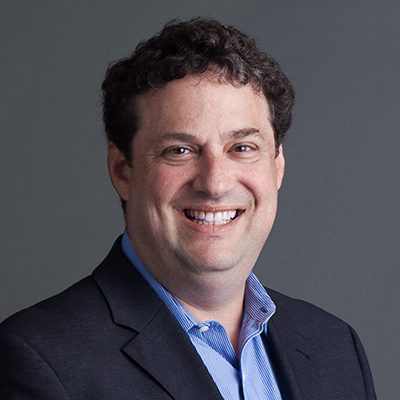 David Madini of Capital Economic said, “The recession may not last much beyond the middle of this year (2015). Here’s some of the key data. According to Stats Canada figures, the Canadian monthly trade data are now back to pre-2008 levels. However trade data and deficits are simply movements in capital and may not be the best indicators of the economic health of a nation. The U.S has been in a trade deficit for four decades without much harm – in fact, they seem to have prospered well through it all. While economists fret about trade data and GDP numbers, consumers just keep buying, despite the struggling loonie. They’re buying cars. The housing market is still humming along in most parts of the county. Canada’s imports are higher this year, which is benefitting consumers. Employment is strong in most parts of the country. And consumer confidence is high. This may be the best recession ever. Or perhaps this is what a recession looks and feels like in the 21st century. Some economists are now suggesting that, although by definition, Canada is in a recession, the two-quarters rule may not be the best test. During the recession in the early 1980s Canada experienced higher inflation, higher interest rates and high unemployment. The Bank of Canada rate hit 21% in August 1981, and the inflation rate averaged more than 12%. Canadian companies no longer focused on innovation and productivity improvements – they were in survival mode. Also, high inflation was partly responsible for larger government spending. In the early 1980s, Canada’s unemployment rate peaked at 12%. It took almost four years for the number of full-time jobs to be restored. Real GDP declined by 5% between June 1981 and December 1982. By 1979, the Canadian dollar was worth 85 cents U.S., which made U.S. imports more expensive. On the other hand, Canada’s major exports declined in price. Combined with high inflation, and interest rates, these high commodity prices reduced the standard of living. Pretty grim picture. Now fast forward to today’s recession. The inflation rate remains in check at 1%. Canada’s unemployment rate is approx 6.8%, which is considered normal. The Bank of Canada rate is .50%. There is an entire generation of Canadian who have never experienced high interest rates -- today’s low rates are the norm for them. Some have billed it the Great Canadian Non-Recession. 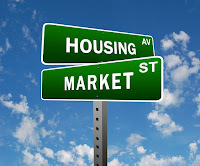 Technically, we may in a recession and those in areas impacted by the downturn in the oil industry may be feeling it the most, however, consumers are purchasing big ticket items and home sales were up 3.1% from April to May. So what’s going on? Is this a true recession? Or, is this what we can expect future recessions to look like going forward? Perhaps the definition of a recession needs to be updated. The world has certainly changed in the past three decades. Some of the credit has to go to government policies. Policymakers have lived though previous recessions and have put safeguards in place to ensure old scenarios are not repeated. But more so it might be that just two quarters data numbers is not enough anymore. Douglas Porter, chief economist for BMO Financial Group, says it’s too early to declare a recession – that there are some other indicators such as the three “Ds” – depth, duration and dispersion -- which have not been met yet. Whatever Canada is going through at this time, it has not had a negative impact on most households… and really, that’s all that matters. With the latest Bank of Canada (BoC) rate cut to 0.50% comes a reminder that many would like us to believe our housing market is tenuous. Once again there is a lot of discussion about just how overheated our market is and the dire circumstances many current homebuyers are likely to find themselves at renewal time. First, let’s think about why the Bank of Canada decided to cut interest rates once again last week. In January the BoC surprised many of us and cut the overnight rate in response to a rapid decline in oil prices. This time around it did so because the Canadian economy has not rebounded the way the Bank had hoped. In an effort to stimulate spending, the Bank used one of its levers to lower the cost of borrowing. In doing so the value of the loonie further decreased thereby making imports more expensive and exports cheaper. The hope is that foreigners will both invest in and buy Canadian goods. The caveat to that appears to be Canadian real estate where many economists and policy makers would prefer that no additional investment takes place. The problem is, it’s hard to have it both ways. The Canadian housing market is resilient – no doubt about that. But when we speak of the Canadian real estate market we really have to speak in terms of what is happening in Toronto and Vancouver and then the rest of Canada … the latter is nowhere near as hot as the former. For the past seven-(ish) years the Bank of Canada, the Government of Canada, our mortgage Insurers and our lenders have introduced numerous lending restrictions designed to strengthen the underlying housing market, soften a blow at the time of renewal --in the event of increased mortgage rates -- and reduce the rate of home price appreciation. In the wake of these last two rate cuts, discussions are heating up again. Now we are hearing rumours of increased down payment requirements as well as possibly reducing the maximum amortization. Both of these changes could have a significant impact on the market – and I do not believe the policy makers are looking for ‘significant’ market changes immediately preceeding an election. They could, however, prove to be precursors to a discussion to take place later this Fall. In late 2008 the Bank of Canada reduced the overnight rate and the banks passed along only 3/4 of the reduction. So far in 2015 the banks have passed along only 30 of the 50 basis points. While the banks do incur costs with each change to the overnight rate they are also ‘banking’ additional spread on both new and on their existing books of business. With arrears remaining at very low historical rates, and the high quality of borrowers, the banks are already protecting themselves from a potential overheating of the housing market. As such, to potentially trigger a downturn in the Canadian housing market by pushing regulations too far, such as increasing the down payment requirement to 10%, would not be prudent. In the event the down payment requirements were to increase to 10% approximately 20% of first-time homebuyers could be affected. Some will find the means to borrow additional down payments and others may seek out secondary financing. At the margin, for the homebuyers that remain in the market, their cost of borrowing will increase. Another “buy”-product of lower interest rates are lower bond yields. People look for better returns on their investments and some will move funds into equities. Perhaps this will prove to be a good long-term investment strategy, though in the long run, real estate investing may turn out to be a sounder investment approach. The reality is, in the wake of a massive global recession (2008-2009), followed by major geo-political uncertainty and a perilous Eurozone, our economy, and especially our housing market, have done phenomenally well. The steps taken over the past 6-plus years have proven prudent. Once again we find ourselves in a sort of conundrum – borrowing costs are getting cheaper, the economy is stagnating yet our housing market, at least in two major cities, continues to push forward. My concern is that we overshoot and impact one of the main engines -- first-time homebuyers -- that drives the marketplace. I think it’s important to ensure that families who invest in real estate have the strength and ability to do so. I do not believe that policy makers should be trying to massage the actual market itself. As such, here are a few recommendations they may wish to consider. Register all first-time homebuyer mortgages at 30 or 35-year amortizations but set qualifications as well as payments at 25 years. In the event of a future default, payments could then be set at 35 year amortizations to allow for some flexibility and preservation of cash flow. Keep the down payment minimum at 5%, though in certain geographic locations require liquid assets equal to 7.5% (plus closing costs). Index the cut off where mortgage insurance can be obtained. For instance a number of years ago a policy was created that restricts mortgage insurance on properties that were greater than $1M. That number should be indexed to allow for natural price appreciation (or depreciation) and geographic factors in the market. The housing and mortgage markets in Canada have proven to be resilient. Now more than at any point in our young history, it is vital for Canadians to seek the expert advice of mortgage brokers to navigate their options. Here are the facts at this moment in time: The growth of the Canadian economy continues to struggle in the wake of lower oil prices and a dropping loonie. Interest rates are at historic lows. The Bank of Canada’s prime interest rate is now at .75%. The prime lending rate for consumers is 2.85%. 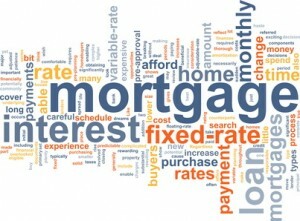 Five-year fixed mortgage rates are between 2.64% and 2.79%. Five-year variable rates range from 2.15% to 2.3%. House prices have spiked in a few hot spots across the country — most notably Toronto and Vancouver where prices have risen 10% and 11% respectively — which is skewing the national average. 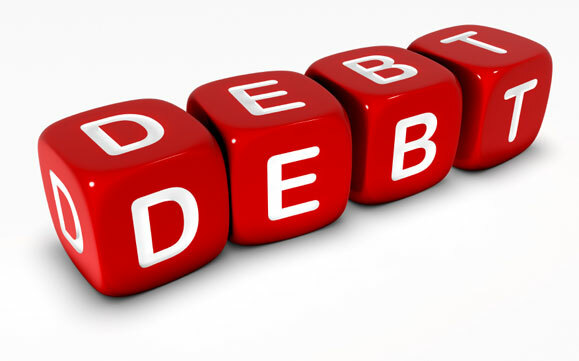 Household debt is sitting at 163.3% as a percentage of disposable income according to Statistic Canada's recent report -- only marginally lower than the record 163.9% ratio the agency reported in the fourth quarter of 2014. Should Canadians be concerned about their jobs? Will interest rates start to rise soon? Will there be a housing meltdown? Is household debt out-of-control? Let’s see. The Bank of Canada’s (BoC) Governor Stephen Poloz, in his latest statement, was clear about one thing — he was confident that the regulatory changes to mortgage lending was working and those taking on mortgages were able to pay them. So, as far as interest rates, it’s pretty safe to say, barring any major economic upheaval, that low interest rates are here to stay until the economy starts to grow. The Chair of the US Federal Reserve Janet Yellen announced recently that interest rate hikes are coming. Yellen said if the American recovery continues, rates with rise this year. As the US economy starts to pick up steam, then Canada’s economy will likely follow. At this time consumers are taking advantage of low rates to pay down mortgage debt. A recent survey by Manulife Bank of Canada found that 40% of homeowners are starting to pay off their mortgages ahead of schedule. Manulife found that 18% made extra lump-sum payments in the past year, while 17% increased their regular payments which reduces amortization. Another five per cent did both. The annual survey of home buying habits by the Canadian Association of Accredited Mortgage Professionals (CAAMP) finds the same thing. CAAMP found that first-time buyers are, on average, putting 21% down and expect to tighten up amortization periods from 25 years to 20 by increasing their payments. If Poloz was truly concerned about debt then raising interest rates would quickly nip that worry. But raising interest rates would not help what Poloz sees as a bigger concern — weak exports and business spending. Basically, Canada’s economy is stagnant. What the BoC does monitor closely is the rate of inflation, which it aims to keep between 1% and 3%. If it starts to edge closer to the 3% rate, then we can expect some changes. The current inflation rate is hovering around the 2% mark. House price increases may still be a concern; however, there is evidence that prices are stabilizing. According to the Canadian Real Estate Association (CREA) only half of Canadian provinces can expect house prices to increase. Canada Mortgage and Hosing Corporation (CMC) recently reported that while there are some concerns about overheated regional markets, the overall national risk remains low. While newspaper headlines tend to be somewhat controversial, the reality is that many Canadians are getting better educated financially, are putting themselves in stronger financial positions and are more resilient to whatever is happening in the country. Wow, this time last year someone might have thought to have you locked up if you said there would be a NDP majority in Alberta. 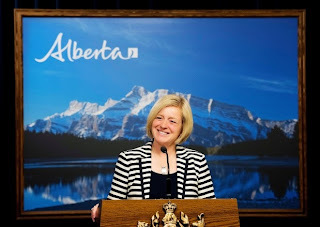 Yet, here we are mid-May, after the May 5th election dust has settled, and we find ourselves welcoming in new Premier, Rachel Notley, of you guessed it - the NDP. While the election results may have been shocking enough to gain attention on a national and even international scale; a closer look at the political landscape in Alberta would show another story. Rumblings that the 44-year privilege, the PCs believed would stay forever was about to crumble, were being echoed throughout the province. After six years of governing a financially booming province, the then current PC government not only handed down an un-balanced budget but also gave Albertans a budget that proposed legislation with significant increases to Mortgage/Land Title fees, further cuts to essential services and front-line staff in both the medical and education sectors. We were told to brace for tough austerity. We then witnessed (now former) PC interim leader Jim Prentice call a premature election to secure his leadership spot - this election was to cost the Alberta taxpayers an estimated $30 Million Dollars. Uhm, what? We Albertans took to the polls and with an unprecedented move removed the longest (provincial/federal) run in government in Canadian history. The election results said that while change is frightening we were no longer willing to go with the "devil we knew". We took the NDP from a mere four seats in the legislature to a majority government with a resounding 53 seats. While some are pleased, some dejected, and perhaps more still indifferent, we are all going to have to live with the outcome. This "new" cabinet and lack of experience has many Albertans fearful. While the cabinet is a group of "newbies", Rachel Notley herself is not. She brings a strong sense of leadership and her team brings with them a message of hope, renewal and positive change. Our political landscape may be changing, but what makes us uniquely Albertan has not. Our "Alberta Advantage" is not borne from the luck of geography alone, our greatest resource has and always will be the great people of this province. Yes, we are blessed to have one of the richest oil patches in our backyard and lucky for us that doesn't change either. Oil is going to continue to be an important resource for the foreseeable future -- we have lots of it – and the infrastructure and foresight to get at it and distribute it. We are an entrepreneurial-spirited bunch. We work hard work and we play hard and that is not going to change either; regardless of the flag colour the governing party flies. And while we may be nervous of what a change in government may bring, we are willing to take the chance on some fresh faces, new ideas and the inspiration it can bring. Notley's first act was to extend an olive branch to the energy sector. She promises to work closely with energy-industry leaders to re-write Alberta's system of royalties and environmental rules over the next four years. She has promised to cancel Prentice's increases to Mortgages and Land Titles (certainly good for all us in the Mortgage Industry). She has promised significant investments in health care and education. She pledges to freeze post-secondary tuition fees, expand public home care and include school lunch programs for kids in low-income households. Now it's just a question of how she's going to pull it all off? 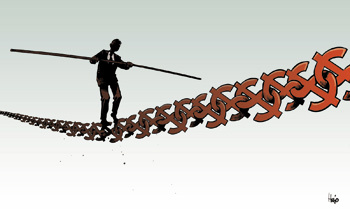 When Bank of Canada (BoC) Governor Stephen Poloz lowered the prime interest rate to .75% earlier this year in response to what he called the “effects of the oil shock” it came as a surprise to economic pundits and economists alike. Many thought the central bank would hold off on moving the rate until late 2015 or early 2016, with the next adjustment expected to be a hike. "We have an oil-price shock, which will reduce the income flowing into Canada and lead probably to some increase in unemployment overall," Poloz said. Until the “oil shock”, Canada seemed to be headed for some post-recession growth. Still, Poloz said he was encouraged by signs of economic life, particularly in Canada's non-energy sector, thanks to a low loonie and strong U.S. growth. Yet, we still hear about housing bubbles and overvalued real estate. It’s true that house prices in many markets are on the upswing especially in the country’s two hottest markets -- Vancouver and Toronto. However, the Spring market has turned out to be surprisingly strong and ReMax revised its house price projections upward last week citing high consumer confidence and low inventory. There are even bidding wars in some markets surrounding the “Big Two” – like Hamilton and Barrie in Ontario and in Victoria B.C. And while in Calgary, the housing slump is evident (oil shock fallout), the Edmonton market is showing resilience. There was talk that Poloz might lower the prime interest rate again, which did not happen. Poloz said the January interest rate cut was enough to support the nation’s economy as it recovers from the slump in oil prices. Total inflation is at 1%, reflecting the drop in consumer energy prices. Core inflation has remained close to 2%. 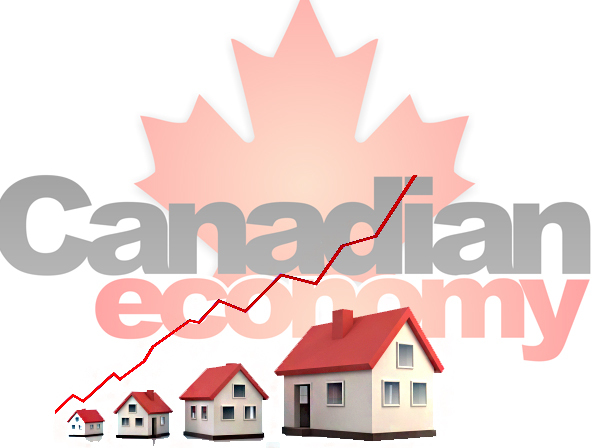 So what does that all mean for the Canadian housing market? At this time, little of what has occurred has had an adverse affect on the housing market in most areas of the country. Is there a housing bubble? Well, we have been hearing about a potential housing crash since 2010 – if it was going to happen, it likely would have happened by now. During these past four years, the government has imposed tighter restrictions to mortgage qualifications and mortgage products, which have altered the lending landscape, and which appear to have prevented a housing collapse. As always, there will be doomsayers. A better thought is to look at all the positives in the economy starting with the latest Bloomberg Nanos Canadian Confidence Index. According to the results of its recent telephone poll, Canadians are optimistic about real estate, with consumer confidence the highest it’s been in three months. Homeowners are more confident than renters. When we review the recent federal budget, there are more positive signs for housing and the economy. For one, it was a balanced budget and the government is projecting a surplus of $1.4 billion dollars. Seniors get a new tax credit for home improvements to improve accessibility. Small business gets a tax rate drop to 9% from 11% over the next four years. Manufacturers get a tax break. And the budget held off on any new measures to cool housing. “There has been an appropriate and desirable moderation in housing activity in most regional markets across Canada. Toronto and Vancouver, in contrast, have continued to experience periods of strong sales and price growth, with housing market strength in these cities supported by such factors as population growth and land scarcity,” according to the budget. This, despite the fact that household debt levels have reached record levels, again. Employment increased by 29,000 in March. The unemployment rate was unchanged at 6.8%. All of this good news in the Canadian economy trumps the small news and makes Canada a growing, stable economy that can weather short term fluctuations for a strong and prosperous future. How many times have you heard one of the following? … and the list goes on and on and on. While these are just a sampling of my personal business pet peeves, my blood boils as I simply recall them and write them down. Let me share a couple of challenges I had with the customer service practices of a car rental agency as a lesson on how not to treat customers. Last winter I rented a car at the Calgary airport. After completing the compulsory paperwork the rental agent handed me my keys. To my surprise there were three identical keys on the key chain. Over the past few years I have become a personal fan of the keyless car starter if for no other reason than to reduce the bulk of what I have to carry around. I was travelling on my own, so I said I would just take one of the keys, asked that they keep the other two. They refused. The reason: because I have to take them all. I didn’t let it go quite that easily and tried to reason. I said, “If I happen to lose the keys, I would lose all of them if I had three with me on the single key chain. At least if you have the spare you could help me out.” It didn’t work. At that point I simply didn’t have the energy to continue and went on my way. Despite my frustration at receiving a form email alias rather than contact for an accountable human being, I decided to follow through with the feedback form and went to the main home page of the company to provide it. By the time I was ready to submit I had some additional feedback as well. The car that I was given was dirty inside and out. I wrote up a nice, long note, and went to submit it when the system bounced me out. Nothing I wrote was saved and I would have had to rewrite it all again. Which I did not do. By the way, I was not able to submit feedback to the survey URL provided from the rental agent. There was no room for feedback and I would have had to provide the digital Rental Record number to complete the survey. In the end the car rental company never had the opportunity to hear my feedback and lost my future business. I guess what I was hoping for was an opportunity to help empower the client service people so that they could remove the above excuses from their vocabularies. As mortgage brokers, we know our business is evolving and has become more competitive. 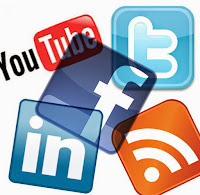 Our clients are asking us for more than they did just a few years ago. Many of our clients are better educated about finances and mortgages when they speak with us. They have already done research online or with their personal bankers. This is actually a good thing for both the client and us. As problem solvers we ensure clients have the best product for their unique circumstances. But it’s also about being there with answers and not just standard phrases such as “those are the lenders’ rules”. We owe it to our clients to explain why policies are what they are. This means we must be more diligent about knowing our lenders, their products, and the policies. We need to connect with underwriters and BDMs to makes sure of the varying conditions and be informed with recent changes. It also means keeping in regular contact with clients to keep them informed of what’s happening in the industry and how those changes impacts them. And, if there is a complaint, then we need to listen to what they’re saying and find ways to continually improve our level of customer service.